Why is sugar bad for you is now becoming a very topical question in recent times but how exactly is sugar bad for your psoriasis. First of all let’s take a look at this 60 minute segment which explains the general health dangers of consuming too much sugar. After watching the above 60 minute segment it is safe to say that sugar can now be classed as the most harmful ingredient in today’s diet. Sugar not only affects your metabolism but is a leading contributor of a multiple of diseases ranging from mildly annoying to fatal. Added sugars are regularly called empty calories. The reason for this is because added sugars contain absolutely zero essential nutrients. So sugar contains zero protein, vitamins, minerals or essential facts. All it contributes is energy. Once you start including more than 10% of your daily calorie intake with sugar you are starving yourself of essential nutrients which can lead to massive problems. As you can see from the 26 success stories of using diet to control psoriasis, having a well-balanced diet is essential to getting your skin to look better. So what are the essential nutrients required? Studies have been indicated that eating Omega 3 fatty acids found in fish can alleviate psoriasis symptoms. This is down to the fact that the consumption of Omega 3 fatty acids, especially EPA (eicosapentaenoic acid) helps improve immune response, basically it is highly anti inflammatory. You can also get Omega 3 fatty acids through leafy green vegetables which leads nicely onto next point. Raw juicing is awesome to help get your psoriasis under control. It provides carbohydrates, minerals, vitamins and more protein than you would actually think along with omega-3 linolenic acid. There have even been documentaries made about raw juicing and how it can “cure” an abundance of auto immune disorders. 70% of diseases are caused by lifestyle choices and a lot of auto immune disorders fall into this category. Download my Smart Psoriasis Diet Resource Kit to get my 5 day raw veggie juicing email course that I used to get my psoriasis under control. I don’t like recommending one type of mineral on its own but zinc does deserve a specific mention as tests have shown that lab rats deficient in zinc tend to develop skin disorder similar to psoriasis. However no need to rush out and get a standalone zinc supplement when you could purchase a very high quality multivitamin that not only includes zinc but a host of other beneficial vitamins, minerals and enzymes. Check out my essential supplements for psoriasis guide that I currently use. I don’t care how lazy or sceptical of diets you are, if you can’t at least try vegetable juicing and dietary supplements for at least 60 days, then you probably deserve all the nasty side effects that come with prescribed medication. Sugar is dangerous because of the damage it can cause your liver. This damage is called non alcoholic fatty liver disease. The body uses glucose to give it energy. It comes from carbs and sugar and is stored in your liver and muscle cells and is released between meals to power our body. Our bodies produce it and is essential to every living cell. 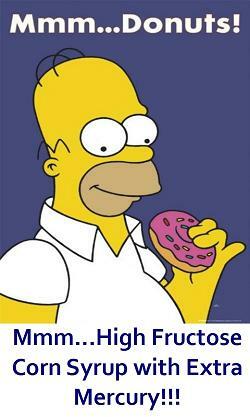 Fructose however is not essential to survive. The human body cannot make fructose and olden years, the only way we would consume it was in season when fruits local to the area were ripe. Therefore the trouble with fructose as compared to glucose is that the liver is the only organ capable of metabolizing the sugar. This in the olden day never caused a problem as we only ever ate it in small amounts. However times have changed greatly and now fructose is added to nearly all processed foods that are consumed daily in large-scale. Industries worth billions of dollars rely on the addictive nature of this added sugar. You see fructose gets converted into glycogen and stays in the liver until it is needed. But more often than not in today’s world, the liver is already packed with glycogen which converts the extra fructose into fat. The main problem here is some of the fat produces gets caught up in the liver and causes non alcoholic fatty liver disease. Please note that it is nearly impossible to over consume fructose from eating fresh fruit. The problem arises from eating and drinking too many products that are loaded with fructose such as fruit juices and sugary drinks. So what are the consequences of a liver damage? The liver filters the blood coming from the digestive tract and passes onto the rest of the body. It also breaks down toxins and metabolizes drugs. As you can see this is vitally important to skin health. When the liver is damaged, the toxins that are not processed normally have to go somewhere. It usually lies deep down in the skin which eventually causes inflammation. This inflammation can cause a massive psoriasis flare up but can lead to a host of other skin conditions such as Dermatitis, Premature Aging, Hives, Acne rosacea, rashes, liver spots, eczema etc. Everyone is now aware of the important part the hormone insulin plays in the body. Unfortunately the reason people now are so familiar with it is because of the massive increase in diabetes. Insulin tells the body to start burning glucose and not fat. But today’s diet is overloaded with glucose and this leads to highly toxic blood. This results in metabolic dysfunction and the cells do not respond to insulin as they should do. This is the leading cause of obesity, metabolic syndrome, heart attacks and diabetes (type II). Studies have now shown the link between the two. Check out or bookmark the video below. It is nearly 90 minutes long but is definitely worth watching when you get some time. The bottom line is too much sugar in a western diet leads to a host of very serious problems. Psoriasis will thrive in an unhealthy body, and that actually may be the least of your worries when you consider all the other more fatal diseases associated with insulin resistance. If the fact that sugar can negatively affect your psoriasis doesn’t make you want to lower your sugar intake, then maybe knowing that it can give you cancer might. Cancer is known the ability of cells to grow uncontrollably. Insulin can help regulate this. Doctors now believe that having high levels of insulin on a constant basis can lead to cancer (1). Here are some more links to some studies (3), (4), (5) that show that people have a higher risk of protracting cancer if they consume large amounts of sugar. Sugar may sound and taste sweet but it is no laughing matter. If you are interested in doing a sugar detox, then you could do worse than buying the following book 21 Day Detox by Diane Sanfilippo. She holds a BS from Syracuse University and is a Certified Nutrition Consultant. She is the New York Times best-selling author of Practical Paleo: A Customized Approach to Health and a Whole-Foods Lifestyle. She also owns balancedbites.com where she blogs and hosts a weekly podcast. You may also remember that I referenced a blog post from thepaleomom last week who actually tried out the 21 day detox to great effect. There are 3 levels of detox dependant on how heavily reliant you are on sugar so you can always start on the easy level and work your way up to a total detox once your confidence builds up. I shall be trying this detox out soon. However I have committed to run a half marathon in February so I think it would be too hard to completely quit sugar while I am in training for this. With that being said I don’t usually eat that much added sugar in the first place but I did overdose during the holiday season. Check out my Smart Psoriasis Diet Plan and Resource Kit if you want to see how I controlled my psoriasis through Diet, Shakes and Supplements.